The Clinton Industries Adjustable One-Sided Staircase is a flexible medical exercise equipment made to provide patients undergoing physical therapy or rehabilitation a safe experience. Built to Last. 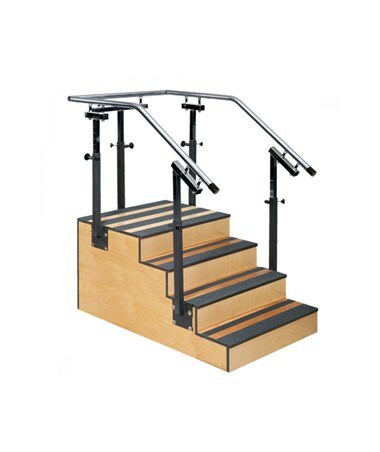 Constructed with an all-hardwood plywood base, the Adjustable One-Sided Staircase has a durable, UV satin topcoat finish with steel fasteners and tough, slate gray, PVC edge material banded on all edges. Each Step has two full-width safety treads. The staircase has a patient weight capacity of 450 lbs. and requires a 9-foot minimum ceiling height. Hassle-free Adjustability. 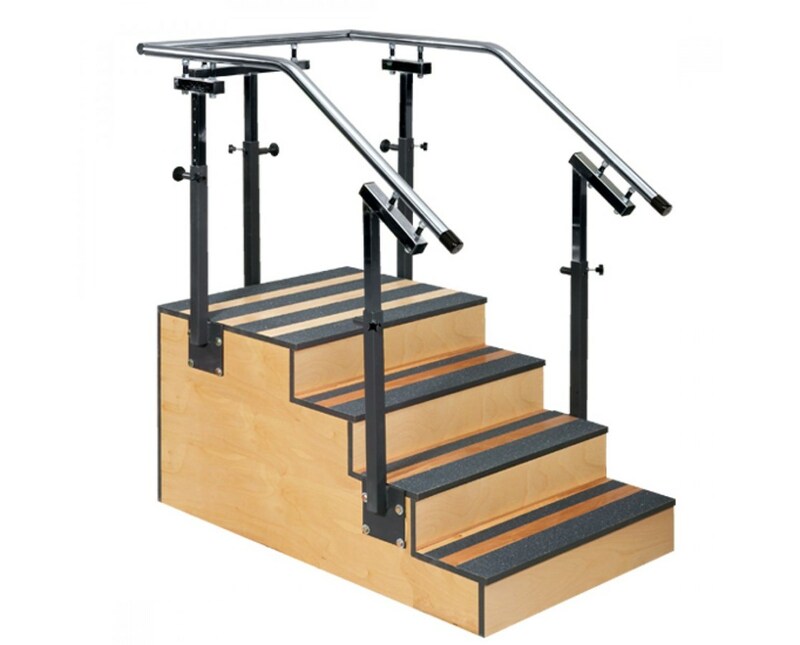 The Adjustable One-Sided Staircase has 1.5" diameter steel handrails with end bumpers, self-indexing spring action plungers and numbered height indicator strips for easy and fast 1.5" height adjustment increments. A second knob is made to secure the handrails & uprights which removes any side-to-side movement.